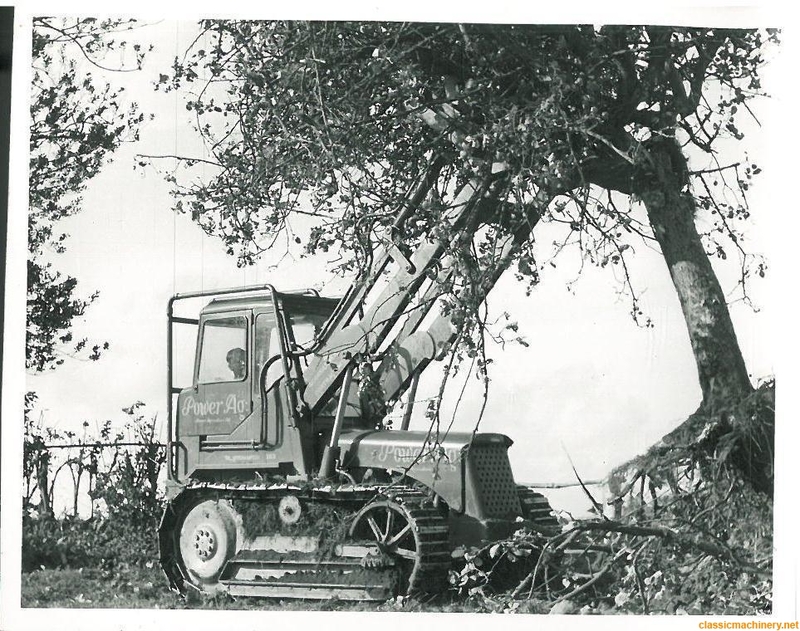 Just found this on Ebay item number 141956853065 over in Edenbridge Kent, County Crawler, i have never seen one fitted with a front loader, Would make a nice project. I could well be wrong but I seem to think there was only one prototype built. I'm sure it shows up in the County Tractors dvd being evaluated against a Drott. If it isn't the only one, I would reckon it's still super rare - a moist moment for any County collector! That's a Bray BL25 loader. Based on the County crawler they were made from 1956 into the early 60s. A friend of mine had one which I got to drive for a few hours in about 1959/60 when we did a brake overhaul on it. It was the first crawler loader I had driven and I was quite impressed, but it turned out to be no match for the reliability of the Drott, Allis and Cats of the day. Thanks Rob & Fred very interesting, the machine is only about 4 miles from me, they actually contacted me to see if i wanted to buy there hymac 270 that they have sproutinfg brambles that is also up for sale. NIce one! Never heard of a loader version. If I lived that close,I'd be having a good look at it..armed with camera. Fred,thanks for the picture.Good looking outfit back in the day.She looks good with the triple-grouser track plates & cabin. This Bray loader was advertised for sale a year or two ago, the asking price then was £6,000 so that's now come down 30%. I commented then that restoration would have to be a labour of love as without looking any further the tracks are well stretched, both crowd rams are missing and the rest doesn't look very promising either. I don't think it will be economically viable. If you go to page 17 in my thread " The Way we Were" there are some pics. of these Bray BL25 loaders at work and of some based on a Fowler Challenger too. It would definitely be a labour of love (& money),but the thought of going to tractor shows & knowing you had a one-off would appeal,I expect. I guess track gear would be tough to find ,& steering clutches too. However,It would be a shame to see the machine rust away more than it already has. just noticed it's back on fleabay. Having a laugh at that price isn't he , saw a County Crawler in good working condition go for similar price recently. OK loaders thin on ground but so are the people who want them. topkit wrote: Just found this on Ebay item number 141956853065 over in Edenbridge Kent, County Crawler, i have never seen one fitted with a front loader, Would make a nice project. Not having much luck with that ebay number?